Enjoy first-class hospitality at one of the most prestigious sporting events in the world – the Wimbledon Championships. In 2019, the Renshaw Restaurant is certainly the place to be. 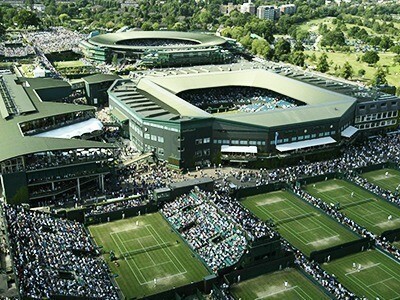 Secure your Wimbledon hospitality packages now and enjoy prime Centre Court seating paired with the finest hospitality. The Renshaw Restaurant, aptly named after the famous Renshaw twins, is located within Court No 1, and is held solely for Wimbledon Debenture ticket holders. To this end, the facility offers a delightful air of exclusivity for guests who wish to avoid the hustle and bustle of the busy occasion as they indulge in a splendid three course a la carte meal. Arrival sets the tone for the day, with an offering of Champagne and Pimms, before guests are spoiled with said luncheon and afternoon tea. When play commences, guests have but a short walk through the enclosure to the Centre Court gates as they prepare to watch some of the event’s exhilarating on-court action. Please note that all of our Wimbledon hospitality packages and ticket quotes are based on either centre or no 1 court debenture tickets, sold to you in pairs. If you are booking for a party of more than 2 guests, we can arrange for your party to be seated together in either court however a surcharge will apply and will be included in our final quotation. Please contact us on 020 7989 6500 for further details. 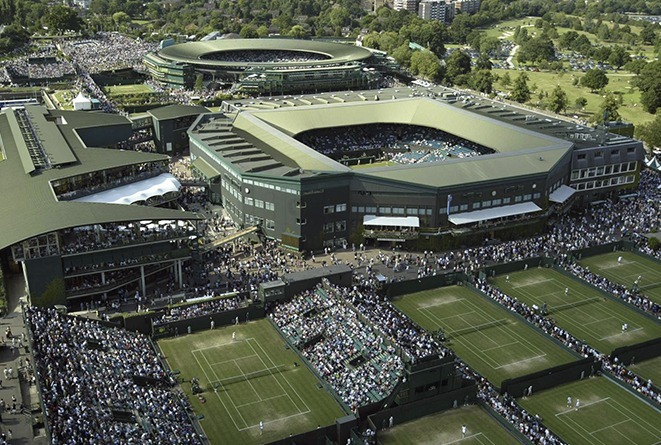 We do not offer any other seating options at Wimbledon other than debenture tickets.